Select markdowns up to 30% off. Offer ends 05/06/19. Limit 1 coupon per offer. Exclusions apply. *Offer excludes select braces/supports. Cannot be combined with other coupons or discounts. Not applicable with previous orders. 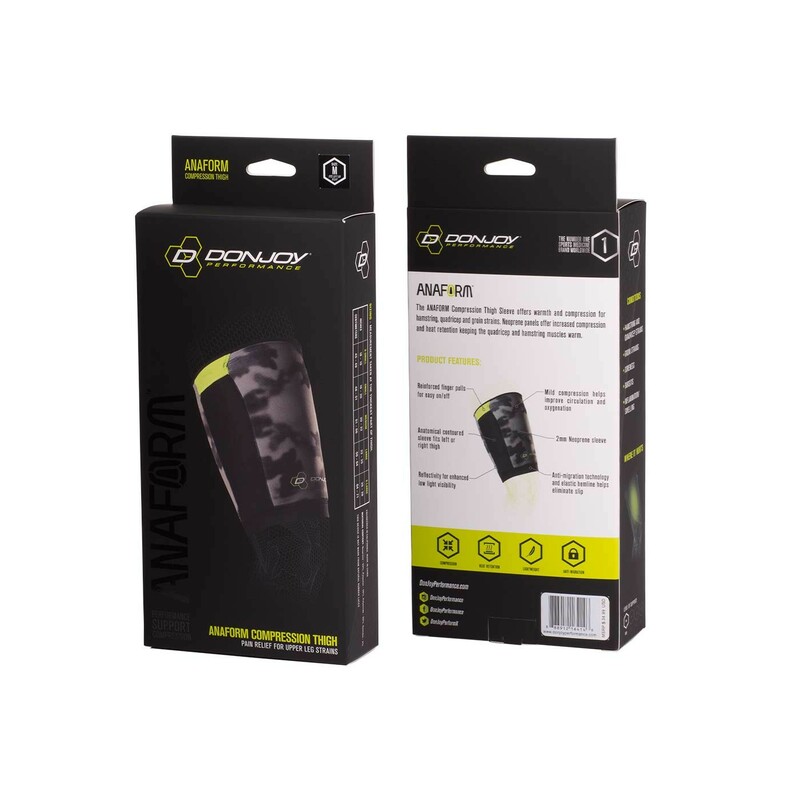 Free ground shipping on all orders in the 48 contiguous states. In-stock, non-custom, non made-to-order products ship in 3-5 business days. 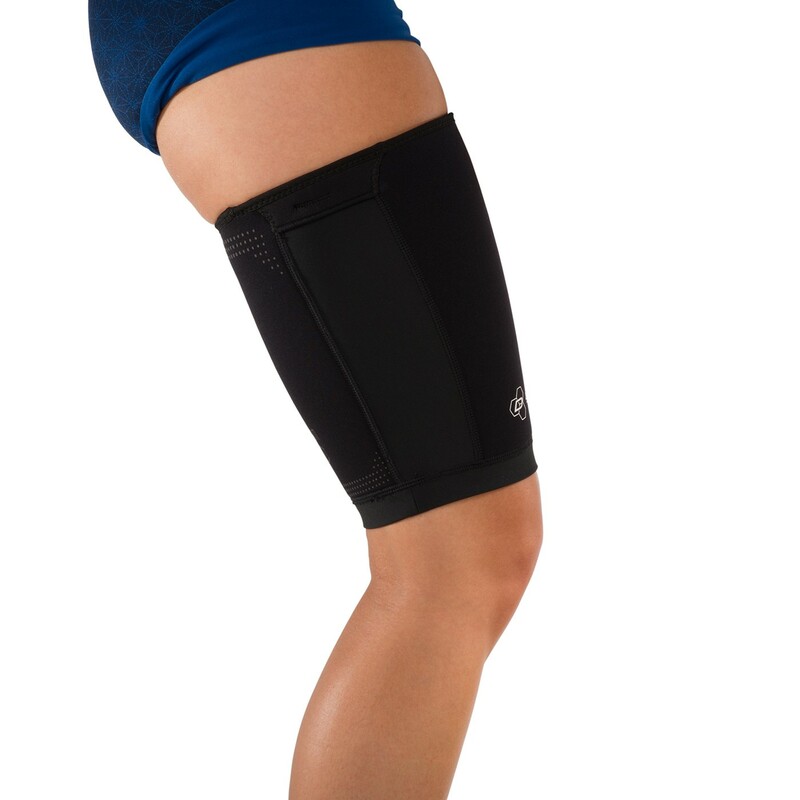 Compression thigh sleeve delivers warmth and compression to reduce bruising, swelling, and muscle soreness. 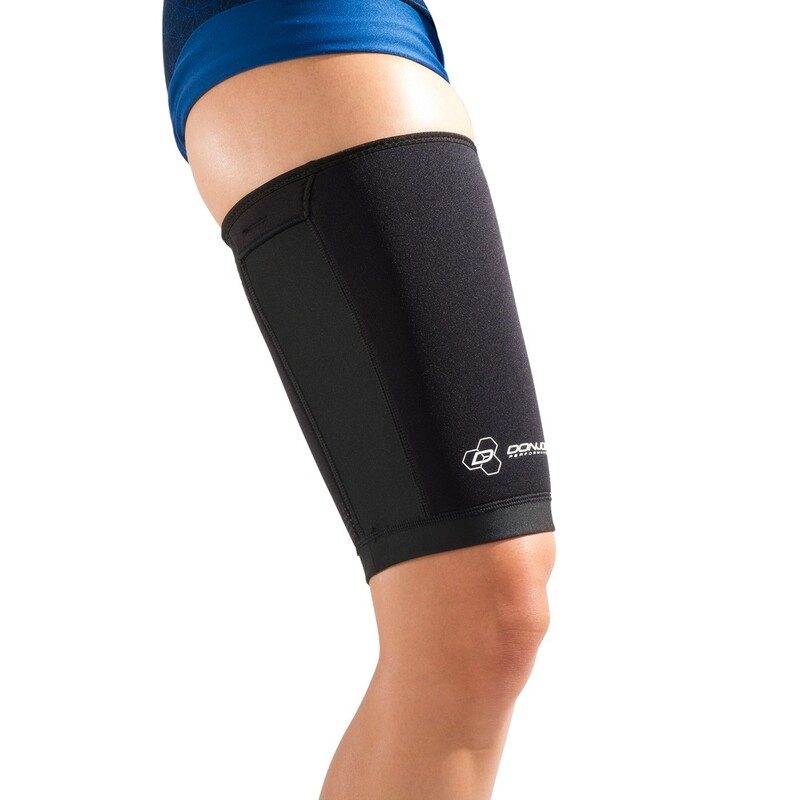 Our DonJoy Performance Anaform Compression Thigh sleeve delivers warmth and compression needed to reduce bruising, swelling and muscle soreness. 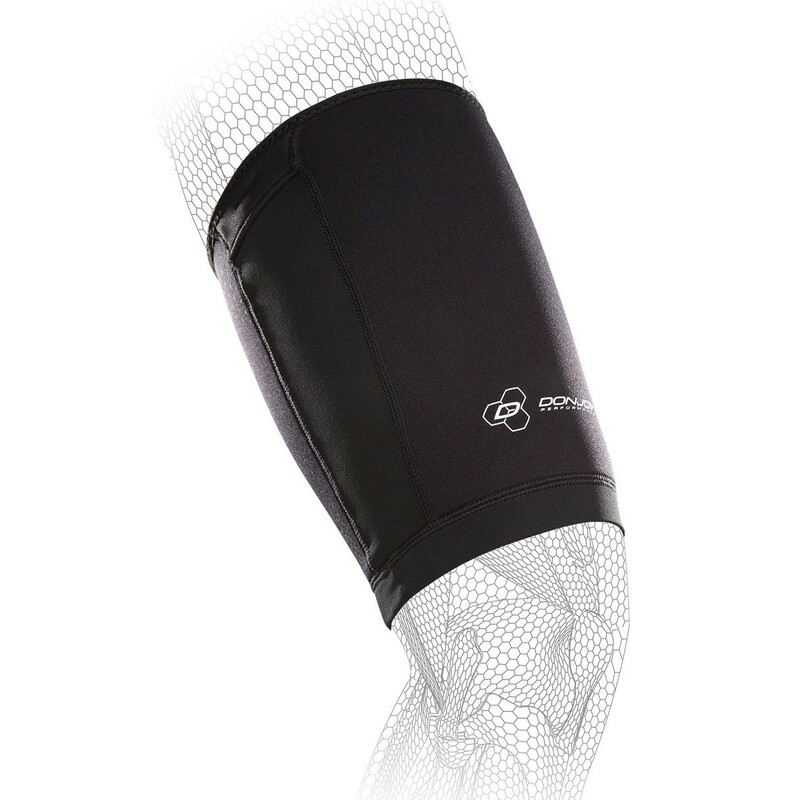 With mid-level support, the Anaform Compression Thigh Sleeve can be worn on its own or under a rigid brace. 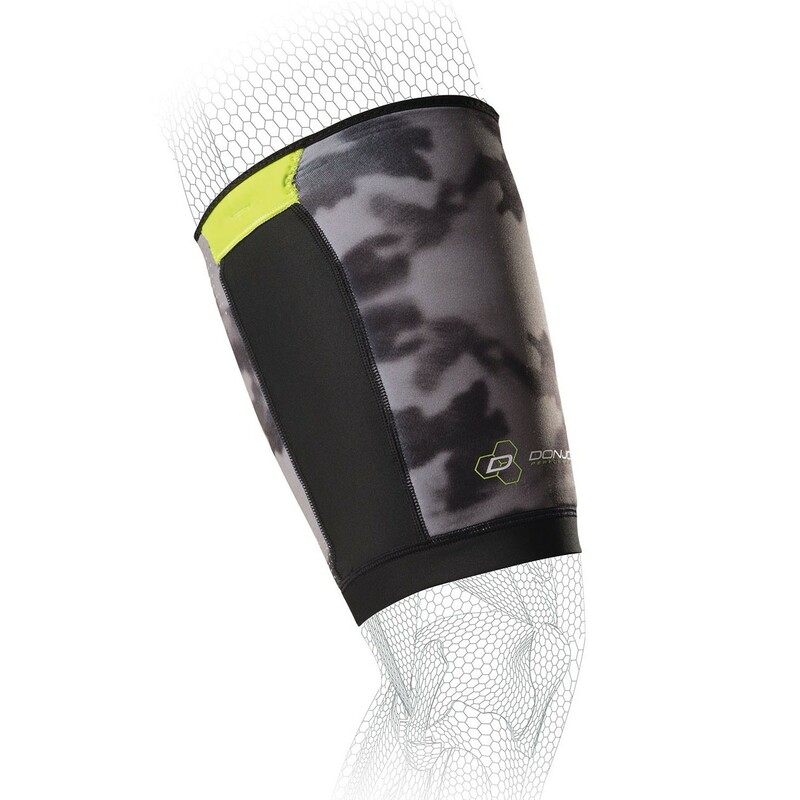 It's designed with anti-migration technology and elastic hemline to prevent slippage, allowing you to focus on the field. Measurement taken at the thickest part of the thigh. For any content that you submit, you grant to DJO Global a perpetual, irrevocable, royalty-free, transferable right and license to use, copy, modify, delete in its entirety, adapt, publish, translate, create derivative works from and/or sell and/or distribute such content and/or incorporate such content into any form, medium or technology throughout the world without compensation to you. By submitting your email address in connection with your rating and review, you agree that DJO Global and its third party service providers may use your email address to contact you about the status of your review and other administrative purposes. All information submitted to DJO Global through this site will forever be the property of DJO Global. DJO Global will not treat any such information as confidential, and DJO Global will be entitled to use such information for any purpose whatsoever, without compensation to you. Any person submitting information to this site expressly acknowledges responsibility for the information submitted and accepts full responsibility for its content. Further, you agree to fully release and discharge DJO Global of any and all claims and demands arising out of or in connection with the use your story materials, photograph and name, including without limitation, any and all claims for libel and/or invasion of privacy or infringement of right of privacy. Neither DJO Global, Inc. nor any of its subsidiaries dispense medical advice. The contents of this website do not constitute medical, legal, or any other professional advice. Information related to various health, medical, and fitness conditions and their treatment is not meant to be a substitute for the advice provided by a physician or other medical professional. You should not use the information contained herein for diagnosing a health or fitness problem or disease. Rather, please consult your healthcare professional for information on the courses of treatment, if any, which may be appropriate for you.